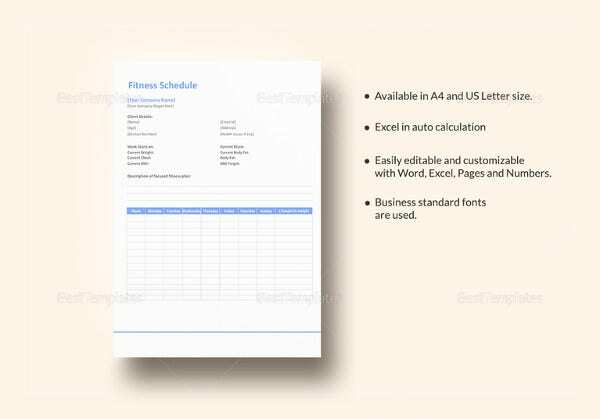 Fitness Schedule Templates – 12+ Free Excel, PDF Documents Download! Fitness is an expensive stuff to avail in this fat-moving lifestyle. So, you need to schedule your workout sessions according to your leisure and work routine. You can consult a fitness expert regarding this matter, but the most important is how much time you can devote to your fitness routine. For that, you don’t need to make a schedule from the scratch. 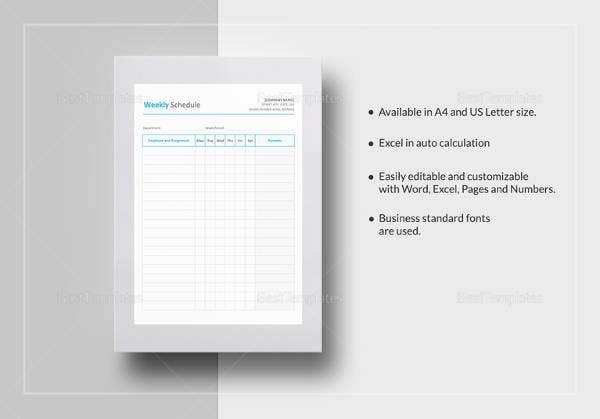 You’re actually empowered with a huge collection of Schedule Templates. Fitness and health maintenance are the two most difficult and impossible tasks in this fast-moving lifestyle. 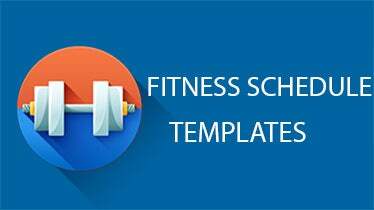 Since maintaining a healthy lifestyle and following a regular workout schedule is quite important for all of you, you can easily download and use Fitness Schedule Template to define your exercising time-periods as per your leisure and work routine. 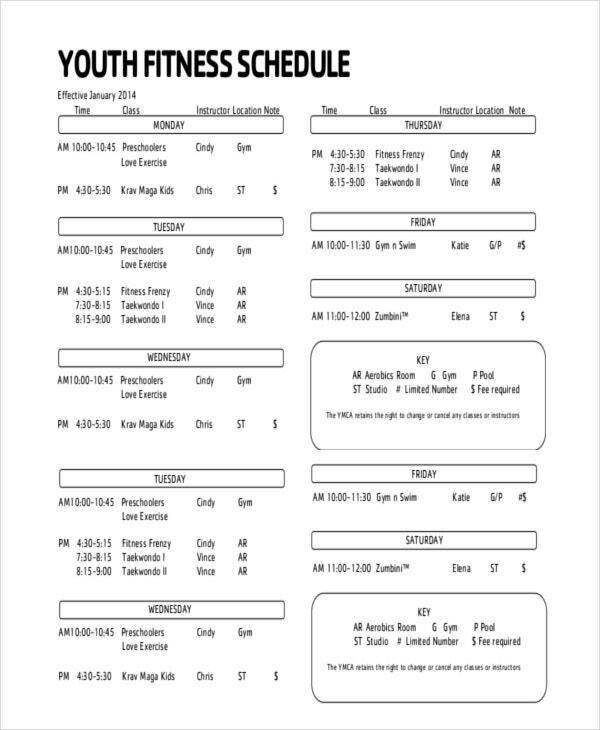 The Weight Lifting Workout Chart is one of the most common templates used by fitness experts and professional athletes to help them define a descriptive schedule for their weight lifting exercises. 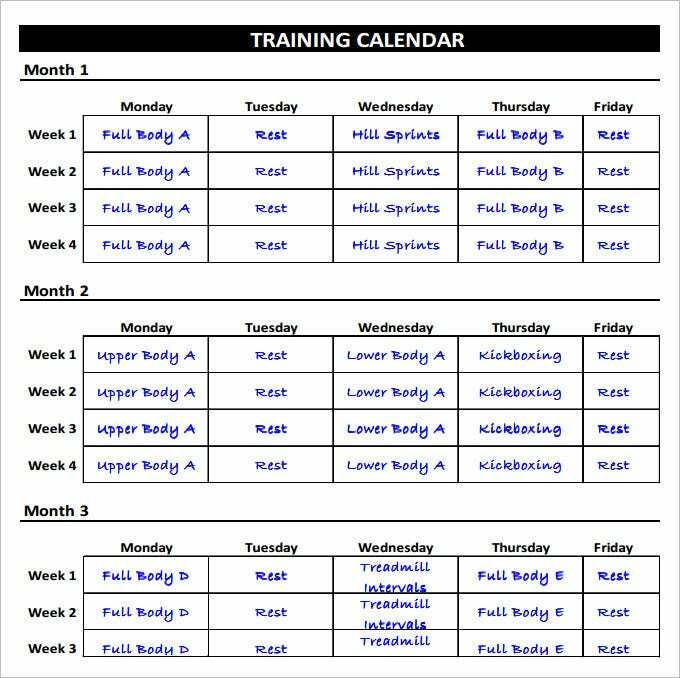 The detailed eight lifting chart is almost identical to the Workout Chart template, but has separate fields and sections that can help you set a target for week, month or quarter, especially if you’re preparing for weight lifting championships. 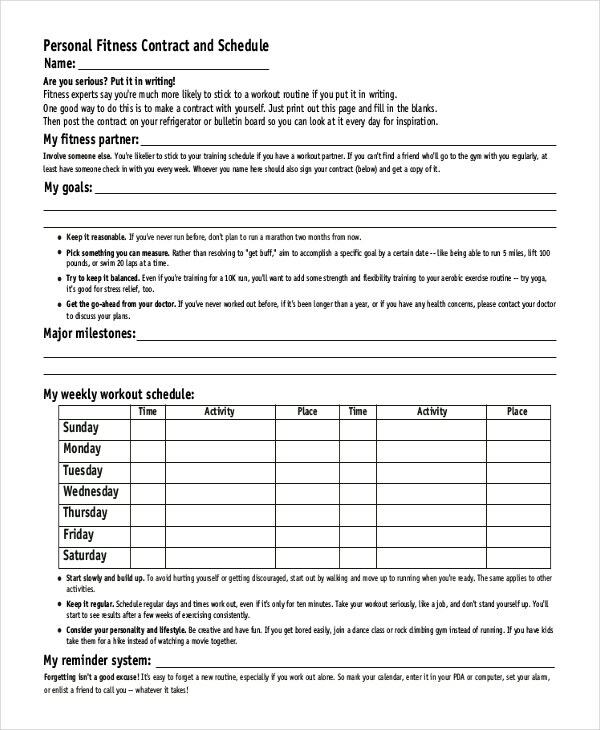 The Workout Log Template is one of the most downloaded and widely used templates that can help you stay fit by just making a perfect workout routine. 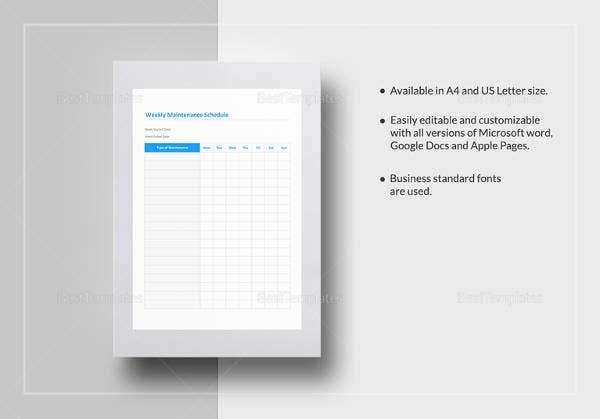 The template contains various fields and sections to help you define your daily work routine. You can enlist all the possible exercises and workout activities that you can easily do without taking help of a professional. 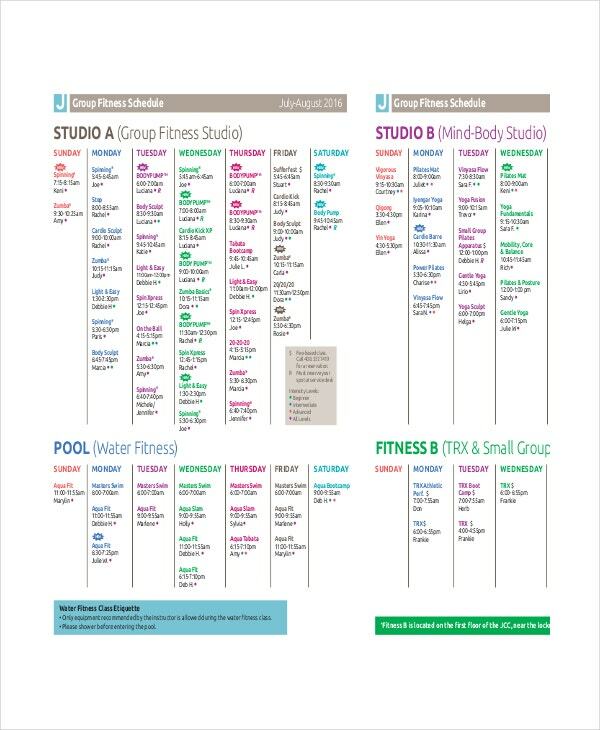 It’s not a big deal to get a fitness schedule template and customize it according to your timeline. Many of them are available for free downloads. You can pick one from this list and use it to make your scheduling smart and easy. There are templates both for men and women, but practically they can compensate each other. You can schedule your fitness schedule on a weekly basis so that the goal remains concise and your motivation crisp. You can plan for your diet in addition to the workout planning. It will make you stay healthy and tension free all week. Then settle down and jot down your next week’s plan in a weekend leisure. Short targets always make the progress brisk and keep the larger goal in shape. 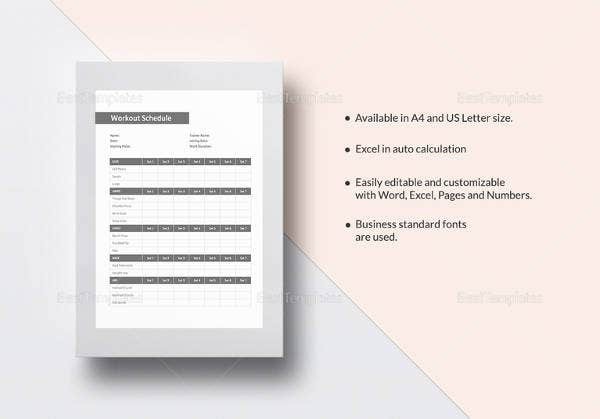 > Why You Must Download and Use These Templates? The detailed template enables you to list down all the tasks and work out routines that you must follow to gain a healthy mind, body, and soul. You can easily download these templates and use them to structure your overall weight loss or exercising program. 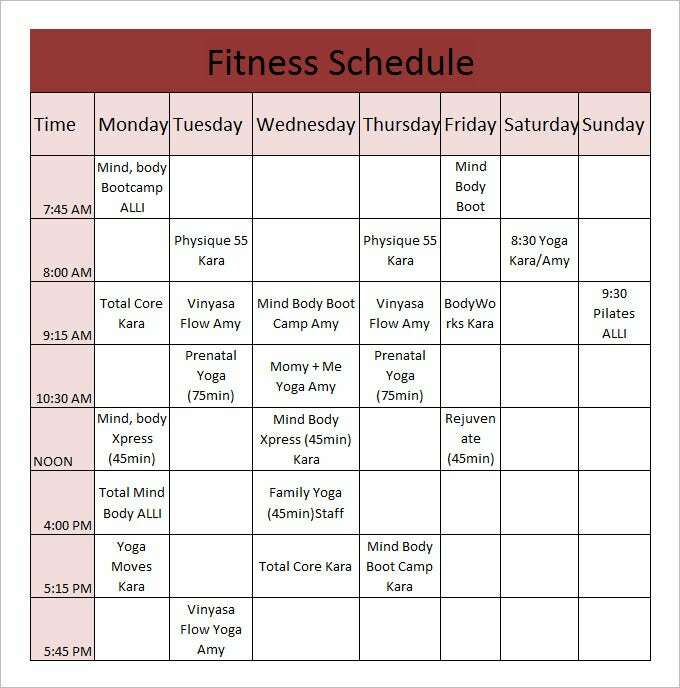 All of Class Schedule Templates are highly customizable and can help you mention important work out details including tips for warm up, upper and lower body, and cool down exercises. 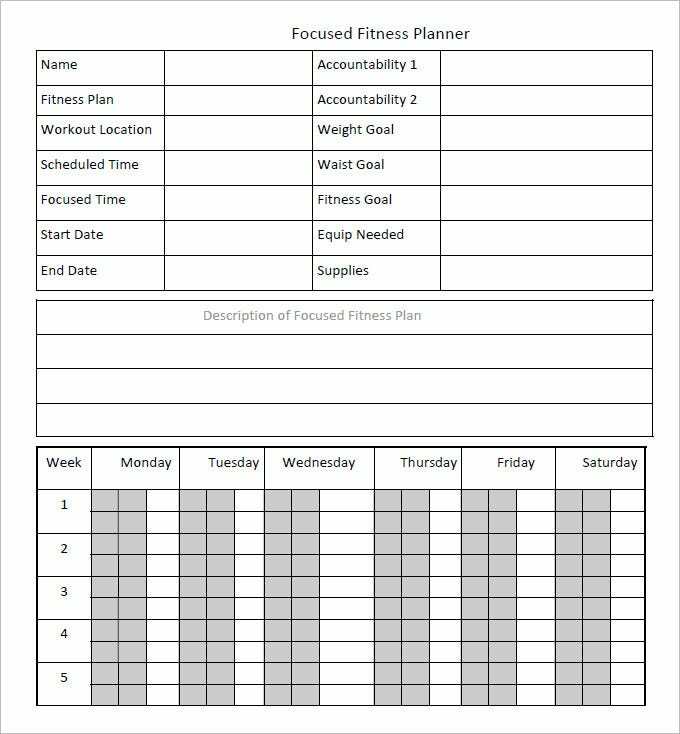 You can easily create a copy of your plan and make changes in it after every week, month, or fortnightly to track your progress. 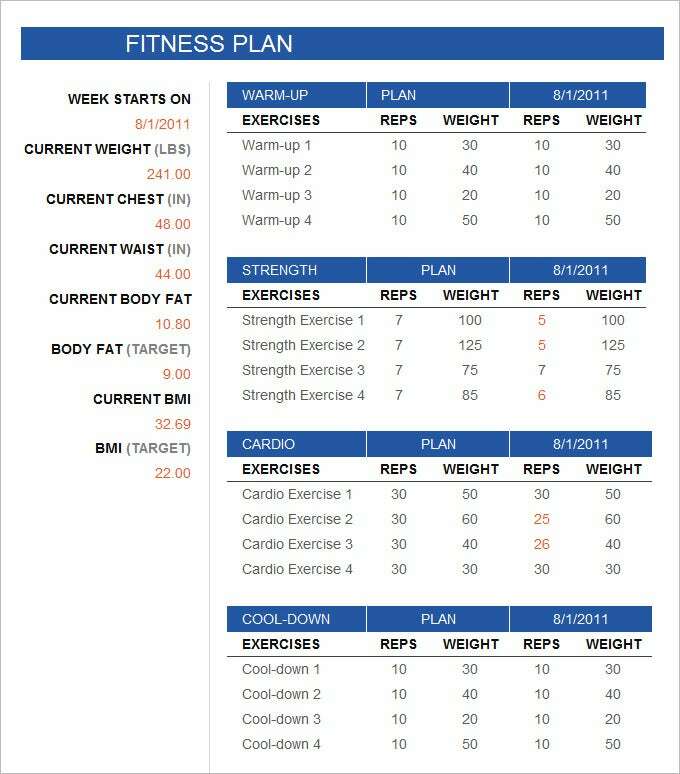 All of these templates help you create a detailed and descriptive workout routine chart. 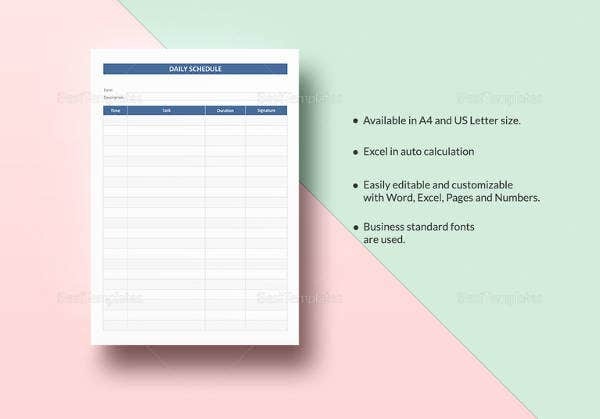 Since these templates can be modified and re-used again and again, you can easily make changes in the existing one to keep a track of your weight loss program and other activities. All of these readymade templates enable you to save time by listing the exercises and saving a copy of your workout log for easy reference. If you have any DMCA issues on this post, please contact us!